HKTDC organises more than 30 exhibitions in Hong Kong, from which form the 10 largest marketplaces of their kind in Asia, including four that are the largest in the world, attracting 750,000+ trade visitors from 190 countries and regions. 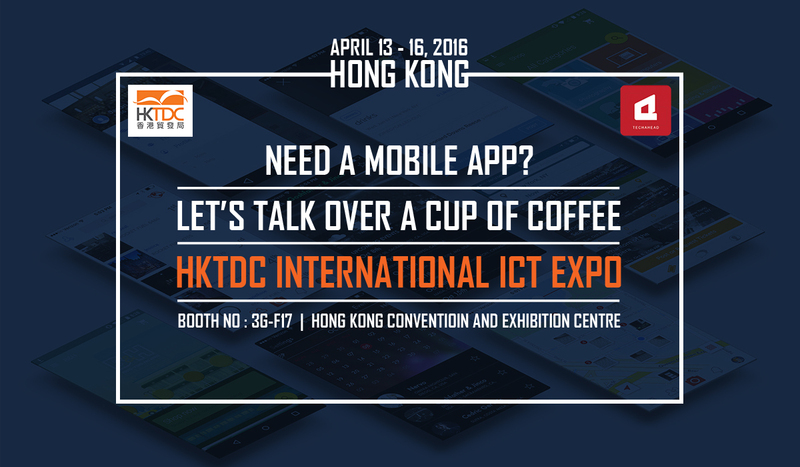 HKTDC International ICT Expo is one such expo and TechAhead is proud to showcase our services second year in a row. It is going to be a great event. We’d love to meet you at the show. Stop by our booth 3G – F17, between 13-16 April at Hong Kong Convention and Exhibition Centre. If you would like to book a slot for one-to-one dedicated discussions with one of our experts, please mail your convenient time slot along with other details to sales@techaheadcorp.com.